Here in France the national radio France Musique is offering us (tax payers…) a real treat. 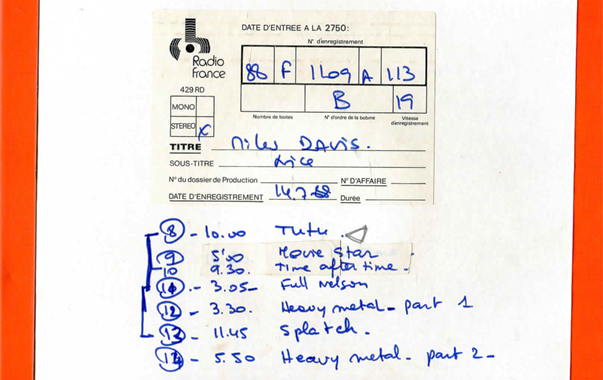 The live recording of Mikes Davis on 14 july 1988 (Jardin des Arènes de Cimiez, Festival de Jazz de Nice). better via r&s and full western electric but still grab the moment….